Portworx recently achieved Red Hat certification for Red Hat OpenShift Container Platform and PX-Enterprise is available in the Red Hat Container Catalog. This certification enables enterprises to confidently run high performance stateful applications like databases, big and fast data workloads, and machine learning applications on the Red Hat OpenShift Container Platform. Learn more about Portworx & OpenShift in our Product Brief. 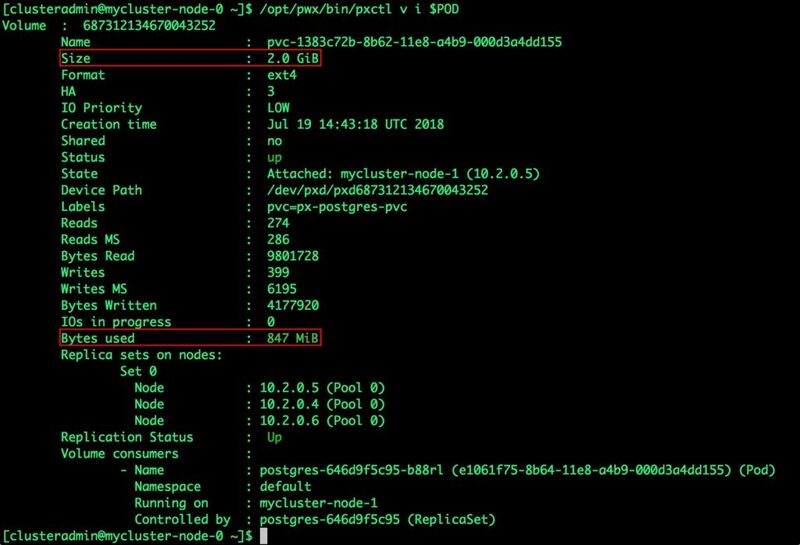 This tutorial is a walk-through of the steps involved in deploying and managing a highly available PostgreSQL cluster on OpenShift. 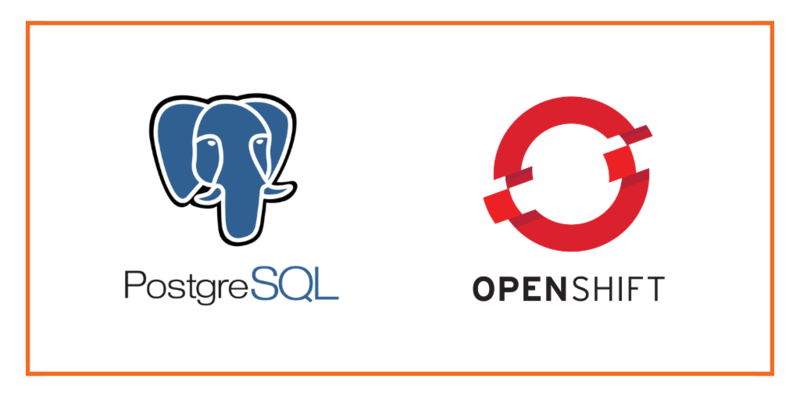 Once OpenShift Origin cluster is up and running and Portworx is installed and configured, we will deploy a highly available PostgreSQL database. In this example, the Storage Class that we deploy has a replication factor of 3 with IO profile set to “db”, and priority set to “high”. This means that the storage will be optimized for low latency database workloads like PostgreSQL and automatically placed on the highest performance storage available in the cluster. 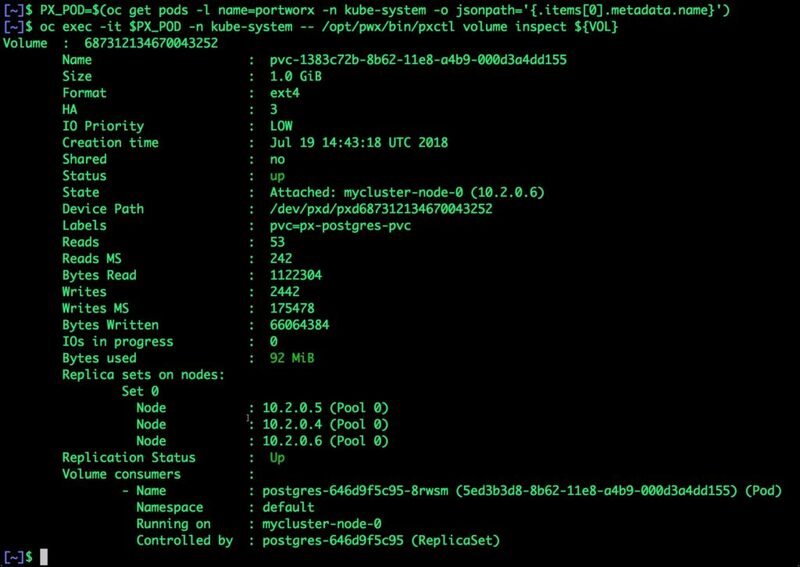 Finally, let’s create a PostgreSQL instance as a Kubernetes deployment object. For simplicity sake, we will just be deploying a single Postgres pod. Because Portworx provides synchronous replication for High Availability, a single Postgres instance might be the best deployment option for your Postgres database. Portworx can also provide backing volumes for multi-node Postgres deployments. The choice is yours. Make sure that the Postgres pod is in Running state. Wait till the Postgres pod is in Running state. As soon as the pod is deleted, it is relocated to the node with the replicated data. 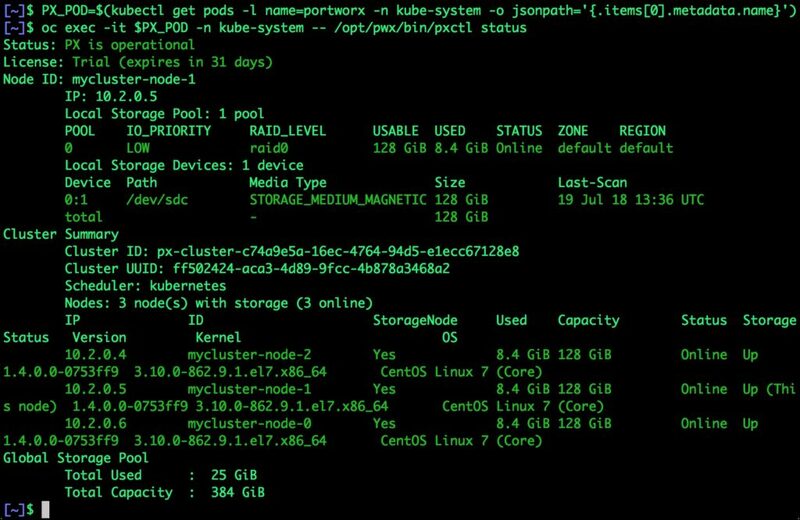 STorage ORchestrator for Kubernetes (STORK), Portworx’s custom storage scheduler, allows co-locating the pod on the exact node where the data is stored. It ensures that an appropriate node is selected for scheduling the pod. Let’s create a snapshot for the PVC we created for Postgres. You can see all the snapshots using the below command. Since snapshots are just like volumes, we can use it to start a new instance of PostgreSQL. Let’s create a new instance of PostgreSQL by restoring the snapshot data. 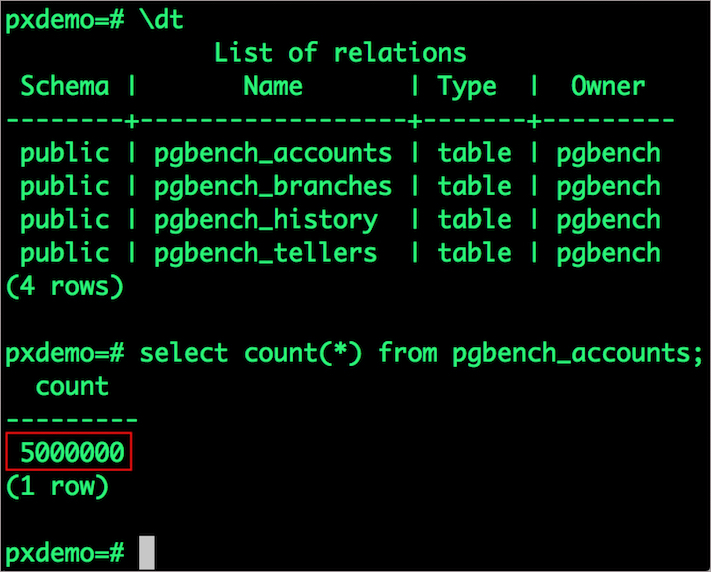 From the new PVC, we will create a PostgreSQL pod. Finally, let’s access the data created by the benchmark tool earlier in the walk-through. Notice that the table is still there with the data intact.